The best songs will always define certain time periods. You’ll hear the melodies and instantly be transported back to the moment when you first experienced them. You’ll see the same sights and feel the same feelings as a result. In other words, you’ll get that same sonic bliss. Live’s catalog is filled with songs like those. Among those seminal tunes are mega hits such as “Lightning Crashes,” “I Alone,” “All Over You,” and “Lakini’s Juice”–which remained pillars of the nineties both musically and culturally. Who can forget seeing the music video for “Lighting Crashes” on MTV for the first time–or fiftieth for that matter? We’ve all sung along to “I Alone” at some point too. That’s just a fact. 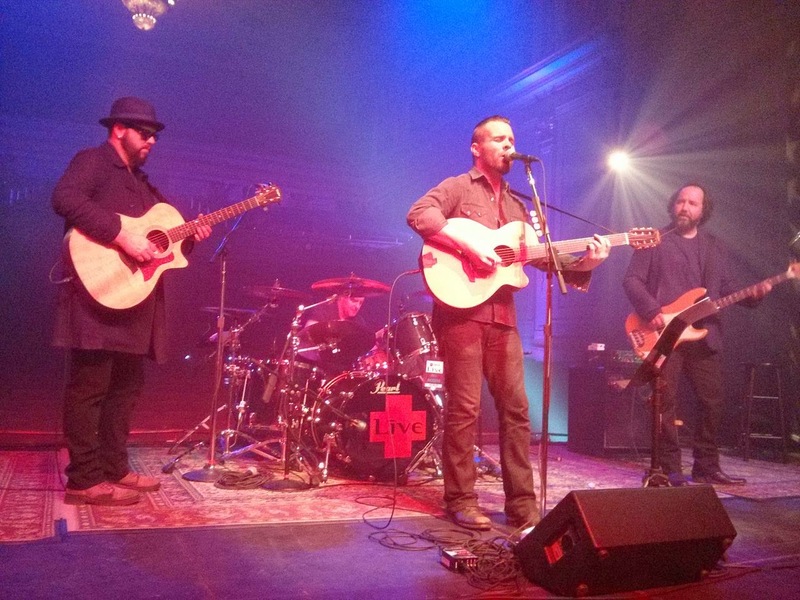 Live is from York, Pennsylvania, and is composed of Chad Taylor (lead guitar), Patrick Dahlheimer (bass), Chad Gracey (drums), and Chris Shinn (vocals). Live's original lead singer Ed Kowalczyk left the band in November 2009. 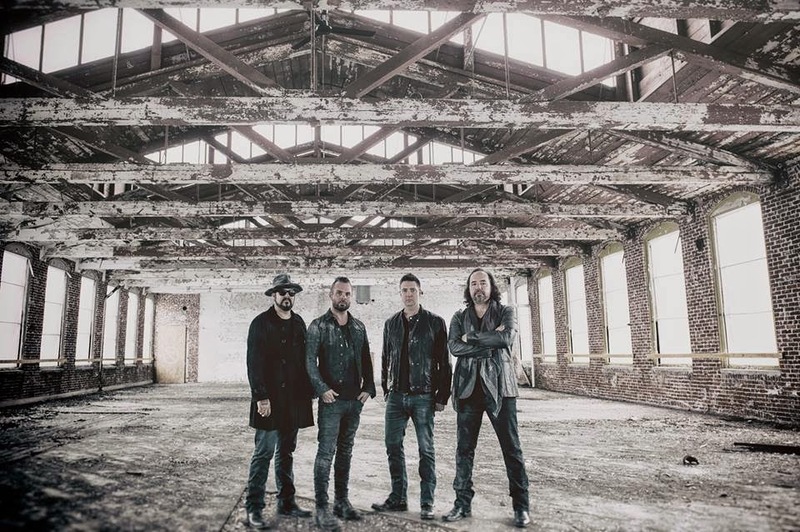 On November 30, 2009, Chad Taylor revealed that what had initially been termed a "two-year hiatus" was more likely the end of the band, due to what he felt were inappropriate actions by Ed Kowalczyk, which have resulted in a lawsuit being filed against him by the other three band members. Kowalczyk alleged that he wrote most of the music for Live and a new publishing arrangement had been accepted by all members of the group in 2006. In June 2011, Taylor revealed that he, Gracey and Dahlheimer were to reform Live without Kowalczyk, who confirmed that he would not work with the other three again. In March 2012, Chris Shinn, formerly of the band Unified Theory, replaced Kowalczyk as lead singer. The band's first album featuring Shinn, The Turn, was released on October 28th 2014. Lead singer Ed Kowalczyk said, "I wrote 'Lightning Crashes' on an acoustic guitar in my brother's bedroom shortly before I had moved out of my parents' house and gotten my first place of my own." Kowalczyk says that the video for "Lightning Crashes" has caused misinterpretations of the song's intent. "While the clip is shot in a home environment, I envisioned it taking place in a hospital, where all these simultaneous deaths and births are going on, one family mourning the loss of a woman while a screaming baby emerges from a young mother in another room. Nobody's dying in the act of childbirth, as some viewers think. What you're seeing is actually a happy ending based on a kind of transference of life"
"Lakini's Juice" was released as the first single from their 1997 album, Secret Samadhi. The song was not released as a single in the United States, but it reached #35 on the Billboard Hot 100 Airplay music chart, #1 on the Billboard Modern Rock Tracks chart and #2 on the Mainstream Rock Tracks charts. The song reached #29 on the UK Singles Chart, the band's highest UK Singles Chart position. The song opens with some abrasive staccato guitar and features an orchestra towards the end. There is a constant dissonance running throughout the track. The previously unreleased B-side track "Supernatural" is a live recording, made at "The Academy" in New York City on November 19, 1994. The music video for the song was directed by Gavin Bowden.